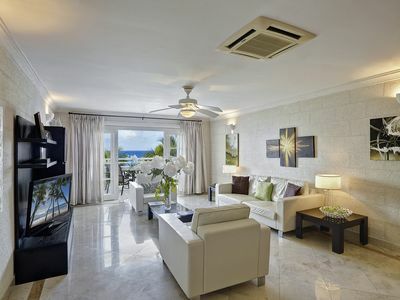 St Peter’s Bay is Barbados’s newest stunning 5-star beachfront condominium development available with 3 or 6 bedrooms. 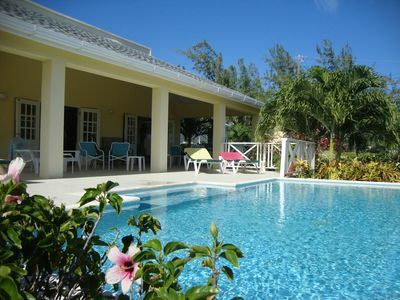 Swimming Pool, restaurant, bar, Gym, Spa and water sports onsite. 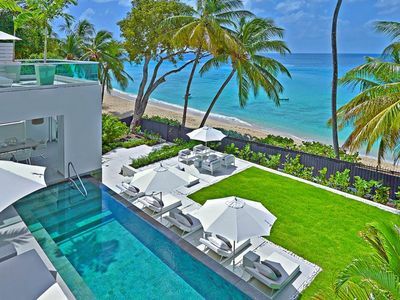 Welcome to St Peter’s Bay by Exceptional Villas, Barbados’s newest 5-star beach front condominium development. 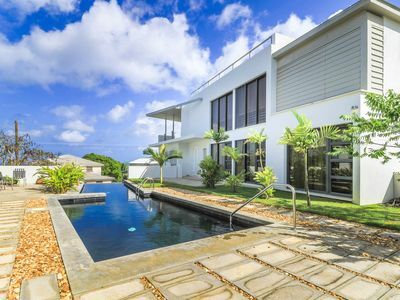 This luxury vacation rental in Barbados is nestled on a 500 foot long beautiful palm fringed, crescent shaped beach and surrounded by 4 acres of immaculately landscaped gardens. Straight in front there is a lovely reef and to the left and right the water is crystal clear and almost always calm and suitable for swimming. 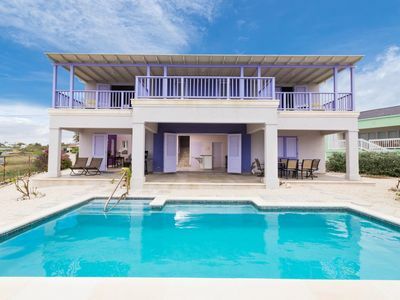 In addition there is a stunning 160 foot free form swimming pool, a bar/restaurant, a fully equipped fitness center, spa, hair salon, beach side hammock and Jacuzzi. For the more adventurous, Saint Peter’s Bay provides two seated ocean kayaks which are perfect for exploring the surrounding beaches. 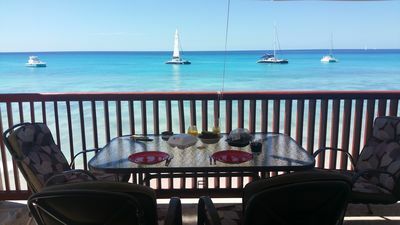 Snorkeling equipment is also provided if you would like to admire the surrounding reefs and incredible underwater life. 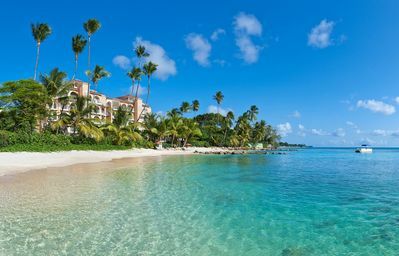 Our concierge at St Peter’s Bay can arrange lots of activities such as deep sea fishing, scuba diving, tennis, horse riding or a visit to a local Polo Match. 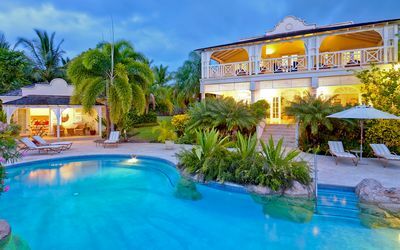 The famous Relais & Chateau Cobblers Cove hotel is walking distance and the historic town of Speightstown is close by. Here you can find good shopping, banks and sidewalk vendors offering local produce and ground provisions as well as excellent casual dining options in this charmingly unspoilt little town. 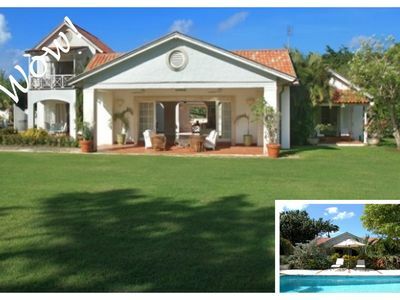 Holetown is also a great shopping and dining area, and is located just a short 10 minute drive. 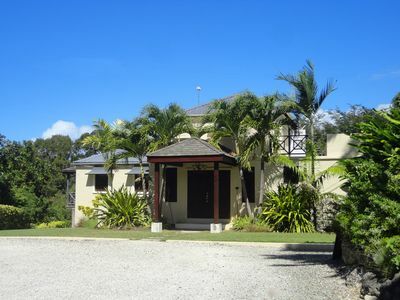 Lastly golf is available locally at the exclusive Apes Hill Golf Club. St Peter’s Bay also has a unique Water Taxi which will take you to some of the stunning ocean side restaurants such as The Fish Pot and Tides as well as to Port St Charles Yacht Club & Port Ferdinand which are a short hop away. 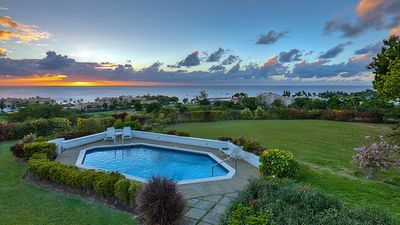 Each of the stunning residences especially the ones on the upper floors in St Peter’s Bay have stunning views of the sea, garden and pristine beach. 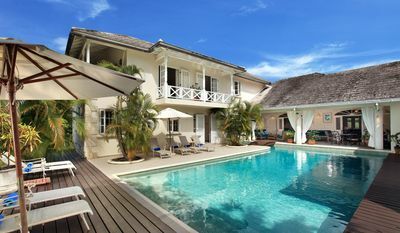 The residences are located in six separate buildings and each has 3 large en suite bedrooms comprising of 2,700 square feet. 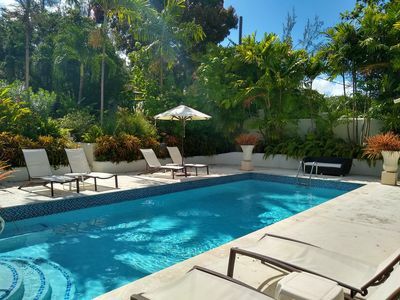 At St Peter’s Bay, you also have the unique option of joining two residences together providing you with one 6 bedroom residence. 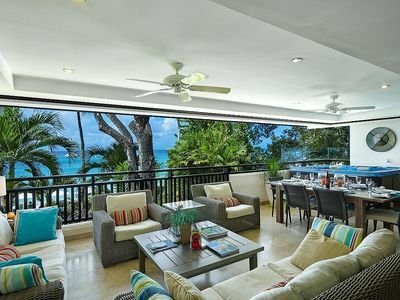 The open plan kitchen and living room are stunning and feature floor to ceiling sliding doors which open directly onto a lovely terrace giving you the ultimate indoor/outdoor experience. 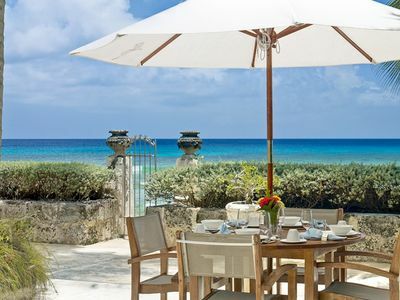 The Terrace is the perfect place for relaxing, enjoying a cocktail, dining with friends and family or just admiring the spectacular views to the beach and clear turquoise sea. 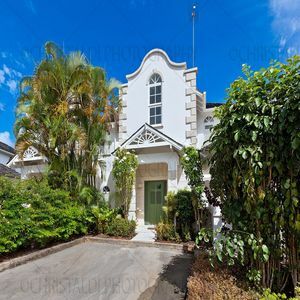 The Master bedroom is stunning featuring a king bed and leading directly onto the Terrace. 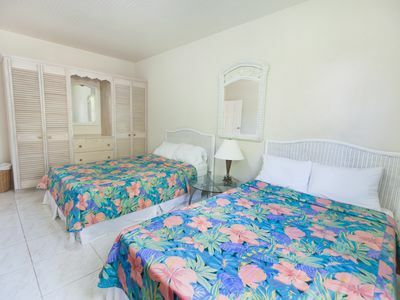 The second bedroom features a queen bed and the third has two single beds. Each of the lovely bedrooms features luxurious marble bathrooms and the master bathroom also has an over-sized Jacuzzi bath. 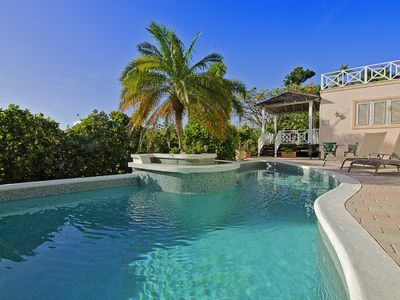 There is also a special lift from the Terrace leading directly to the pool and beach. 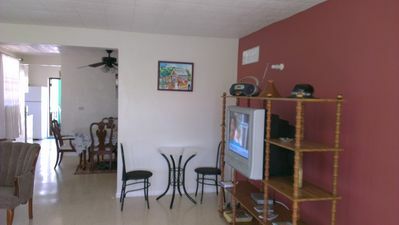 Additional features include a flat screened TV, Hair dryer, CD player, security Safe, and Wireless broadband connection. 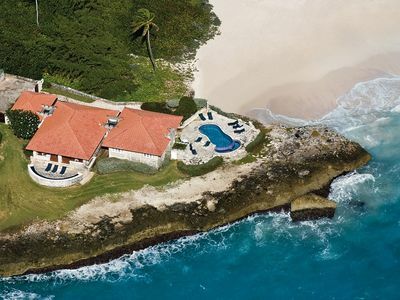 Coral Cliff House, Barbados with spectacular sea views. SWEET SUMMER SONG LET THE HOUSE SING ITS LOVELY SONG OF HAPPINESS.